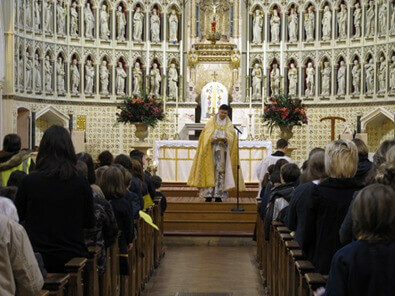 John Henry Newman founded the English Oratory at first Vespers of Candlemas, 1st February 1848. 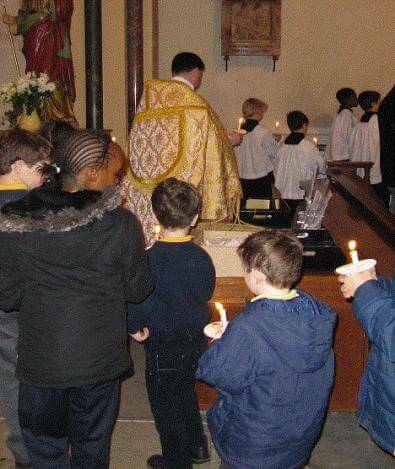 The children from St Aloysius' Primary School came to the 10am Mass for the Feast of the Presentation and took part in the Candlemas Procession. They have been learning the Salve Regina, which they sang at the end of the Bidding Prayers.